Get DISH and you’ll have access to popular shows like Criminal Minds and The Tonight Show–without losing the local Florida programming you love! In addition to national channels, DISH Network delivers hometown favorites like NBC and FOX, right into your living room. You’ll even be able to keep up with popular premium channel shows like Homeland and Billions, thanks to the 3 FREE months of Showtime® that are included with qualifying DISH packages. 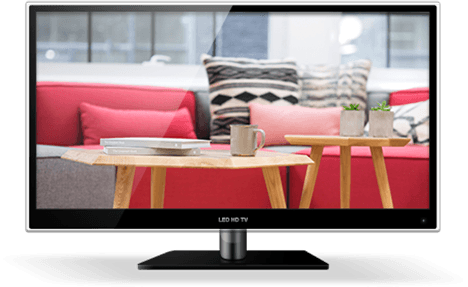 Not to mention, select plans get you HD FREE for Life®, meaning you can enjoy high-definition without having to pay any extra. So don’t wait to get great entertainment for your Florida home. Call to get DISH Network today! *After 3 mos., you will be billed $20/mo. for Showtime and DISH Movie Pack unless you call to cancel. Did you know that DISH offers both quick satellite Internet service and dependable HD-quality satellite TV throughout Florida? Choosing DISH Satellite Television means that your service won’t crash when the cable goes out in your neighborhood. Get a great deal on great entertainment by signing up for a satellite TV package today. Get a major upgrade to your home entertainment with DISH. Tired of missing your favorite TV shows when they air? When you choose the Hopper® 3 Smart DVR, you never have to worry about catching a show at a specific time–just record the shows you love and watch them when you have spare time. Plus, with the DISH Anywhere™ app, you can program your DVR from your computer or other web-enabled devices, then watch live or recorded shows while you’re on-the-go. That means you never have to miss an episode of Elementary or any of your other favorite shows again! And not only is installation of your DISH services FREE in up to six rooms of your home, but Florida residents in select areas can take advantage of next day installation as well. With so many features and benefits available, it doesn’t make sense to waste another minute. Call now to learn more about the DISH packages available in your area of Florida. DISH in Florida is many steps in front of competitors like DIRECTV®. 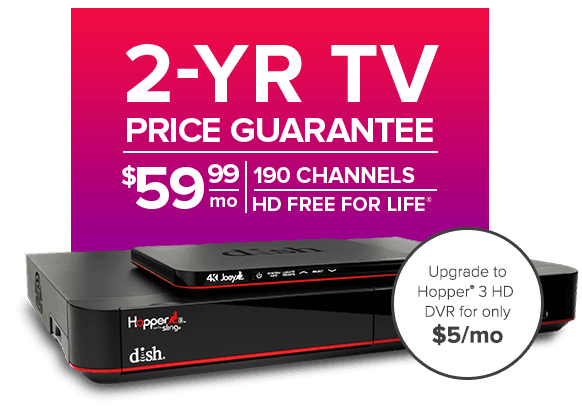 To start off, DISH’s Hopper® 3 Smart DVR is the most advanced DVR system available, with the ability to record up to 16 programs simultaneously and store 500 hours of HD content. When compared to the competition, the Hoper 3 offers much more than the limited 200 hours of HD storage that are included with DIRECTV’s Genie® DVR. You’ll also love the Hopper 3 Voice Remote, which offers a modern touchpad and voice recognition. You can take all of your favorite programs with you when you head out the door—including 100% of your live TV channels—when you take advantage of the DISH Anywhere™ app for iOS and Android. And since DISH offers HD FREE for Life®, you can enjoy your favorite TV shows and movies that are available in incredible high definition, without paying constant fees. 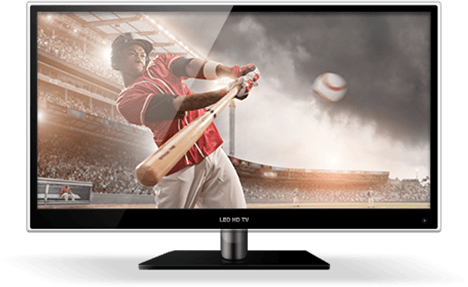 Change the way you experience entertainment in Florida by getting DISH satellite TV today. If you’re a Sunshine State sports fan, you’re sure to love DISH’s extensive sports coverage. With DISH, everyone in your Florida household can enjoy everything from Miami Heat games to Tampa Bay Rays highlights. Plus, the mix of national networks and local Florida stations provided by DISH means you can keep up with all of your favorite teams–no matter where their coverage is broadcast. Don’t have season tickets to watch the Miami Dolphins play live at Sun Life Stadium? DISH Network gives you the next best thing. DISH’s Multi-Sport Pack includes access to NFL RedZone and the NFL Network, giving you exclusive access to highlights and commentary about all angles of your favorite team. With coverage from DISH, you’ll feel like you are in the huddle with Ryan Tannehill and the Miami Dolphins as they march down the field toward the end zone. And football is just the beginning! The Multi-Sport Pack also lets you catch all the action from your favorite college teams–including the Gators, Seminoles, and Hurricanes–or pro teams in just about any sport with a line-up of more than 35 sports channels. So if you want better sports programming in your home, call now. 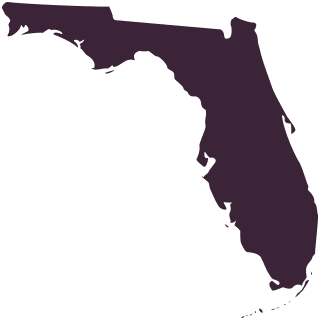 Looking for DISH TV Near Florida?